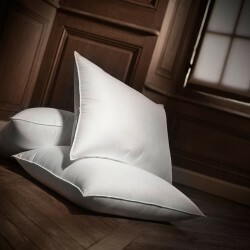 Our natural medium pillows are the 4 stars hotels and Palaces favorites, customers of Dumas Paris since five generations. Made for people sleeping on their backs, they provide ideal support. Made from duck down and new duck feathers, they provide a swelling, malleable and soft welcome. 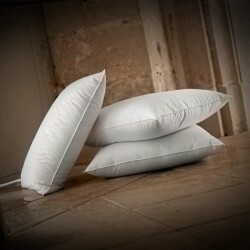 These medium feather pillows will welcome your head and neck perfectly for restorative nights. Our natural fluffy pillows can also be tailor made on request. You can personalize your Medium pillow with an embroidery at your initials or those of the person to whom you offer it. Embroidered pillows and / or tailor made pillows can not be taken back or exchanged.